Monroe Nichols is director of network growth for StriveTogether. In this role, he leads the strategy development for cultivating and supporting communities seeking to join the Cradle to Career Network. 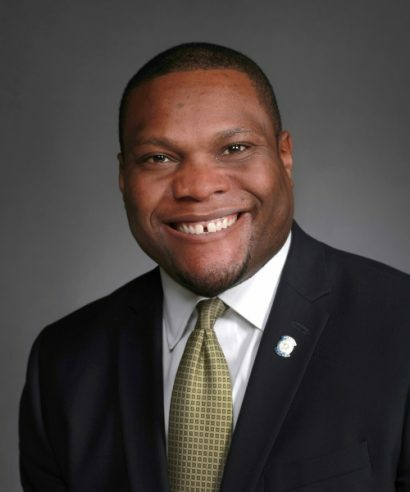 Monroe’s work in the Network started in 2014, as a founding staff member at Cradle to Career Network member ImpactTulsa, where he served as chief operating officer. Prior to ImpactTulsa, Monroe served as an aide to Tulsa’s mayor, was chief of staff to a university president, managed statewide adult career development programs for the Oklahoma State Department of Career and Technology Education, and directed business expansion programs for the Tulsa Regional Chamber of Commerce. Monroe has held two elected positions, first as a board of education member for Tulsa Technology Center, Oklahoma’s largest and oldest postsecondary vocational training institution. He currently serves in the Oklahoma House of Representatives. Monroe holds a bachelor’s degree from the University of Tulsa and a master’s degree in public administration from the University of Oklahoma. Police officer, UPS driver or a lawyer (Mom was pulling for lawyer). Play golf (although I’m still not great). “Black Fortunes.” It’s the story of six African Americans that escaped slavery and became millionaires.